There are a million things to love about having a dog in your life — but there's nothing more awful than having to decide when it's time to let them go. Putting your dog down is one of the hardest things in life that you'll ever have to do, but when you have the financials figured out before the time comes, it gives you at least one less thing to worry about. If you're a pet owner, you probably already know that vet care isn't cheap. Depending on the options you choose, euthanization can cost anywhere between $50 and $300 (or more). More: Dog Years to Human Years: How Do They Actually Work? We've gathered a little more info about the transition so you can be prepared. You'll want to focus on saying goodbye rather than worrying about the money aspects of the situation when you're faced with this heartbreaking time. Similar to humans, the passing of a dog has a number of price variables — like performing the procedure in-office, at-home or through cremation. Kenneth Cohn, DVM, is a veterinarian who provides at-home euthanasia services. Cohn explains, "I will travel to someone's home to put their pet to sleep for between $85 and $125, depending on how far their home is." Cohn lists hidden costs that may factor into his total fee. "[The] DEA license for the controlled drug is $250 per year. Record keeping — accounting for the usage of the controlled substance. A less common hidden cost can be an aggressive pet that tries to bite." 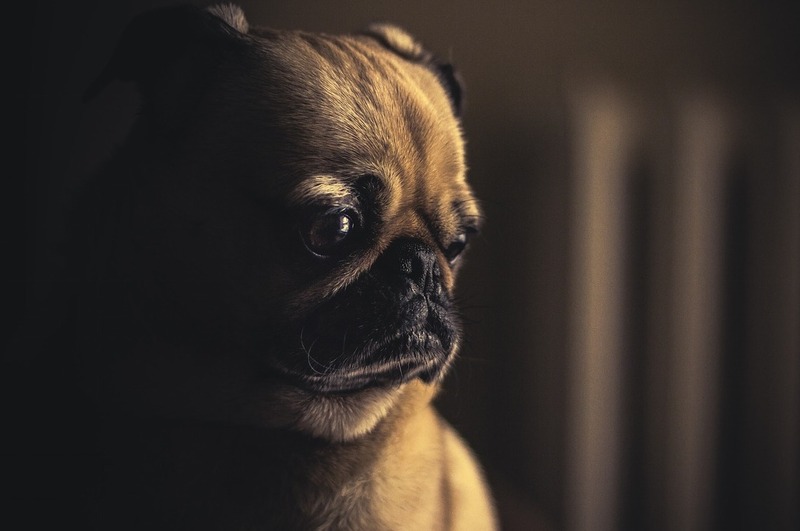 According to the Maryland SPCA, in-office owner-requested dog euthanasia could start as low as $50 per dog for low-income pet owners. The regular charge for owner-requested euthanasia is $150 per dog. Cremation is another viable and affordable option for dog owners who may want to preserve their pets' memory with ashes in an urn. The Maryland SPCA estimates pet cremation fees by weight — starting at $80 for dogs up to 30 pounds and ranging up to $165 for dogs 101 pounds and heavier. The Riverside Pet Crematory of Oregon also charges by weight, explaining that larger dogs may cost more as they require more energy to cremate. However, Riverside Pet Crematory makes an important distinction — providing the option to choose between private and communal dog cremation. Private cremation allows the pet owner to keep the dog's ashes, costing an estimated $135 for an 80-pound dog. While communal cremation is cheaper, estimated at $80 for an 80-pound dog, the pet's ashes are disposed of by the crematory with other animals that have been cremated. For both dog euthanasia and cremation, additional fees can quickly add up. Cathy Alinovi, DVM, America's Favorite Holistic Vet, says that while price is a tough topic to tackle, it is "one that needs to be addressed" so that extra charges on a final bill don't surprise you. Dr. Cathy urges pet owners to consider these important questions before scheduling a dog to be euthanized. "Here are the questions that people aren't always expecting when they call for prices: If they or their pet have never been seen by the veterinarian they are asking to perform the service, most veterinarians will charge an exam fee. The exam is because veterinarians are legally required to have a veterinarian client/patient relationship, and this is the exam. If an at-home euthanasia is requested, then there will be a trip charge." Then there are the in-office extras for routine euthanasia. "Some veterinarians charge additional fees for IV catheters and disposal of the needles," adds Dr. Cathy. And that's not all — there are plenty of add-ons available to ensure that your dog's passing is a memorable and beautiful experience. Dr. Cathy concludes, "Additional services to ask for include a paw print, private cremation where the ashes are returned in a pretty box or in an urn. In some cases, the urn is an extra fee." The exact cost of these extras is hard to estimate since it can vary by service and provider. For example, a high-quality marble urn to hold your dog's ashes could cost up to $100. Other pet crematories will allow you to bring your own ash receptacle at no charge. Many pet cremation services will provide a certificate of death and a keepsake, like an actual paw-print key chain.Commemorative paw-print picture frame kits may start at $50. More: If Dogs Don’t Sweat, How Do They Cool Down? Talking about money seems downright insensitive at a time like this, but these figures are important for all dog owners to know. The better you can plan for the financial repercussions of putting a dog down, the easier it will be to stay in the moment and say good-bye. Originally published June 2015. Updated July 2017.